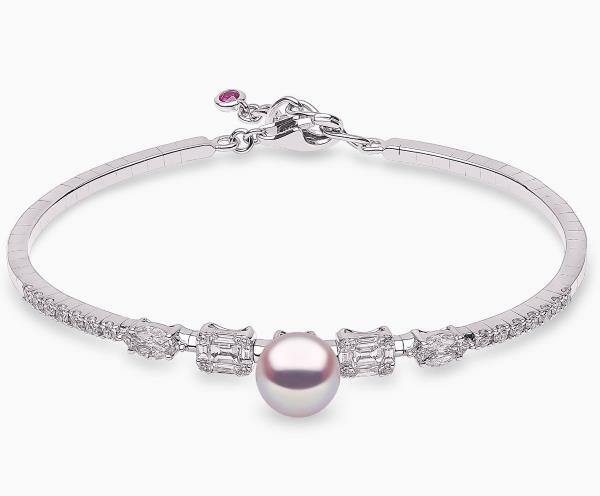 Yoko London presents elegant Baguette Collection, using pristine white South Sea and Akoya pearls, alongside baguette diamonds, set in 18ct white gold. The collection provides timeless pearl jewellery designs, with a contemporary feel. The range includes pearl earrings, rings and bracelets which can be worn from day to night, as well as luxurious necklaces suited to an evening affair.